Danny Hellman Illustration Blog: Fast food workers deserve a fair wage and the right to organize! Fast food workers deserve a fair wage and the right to organize! 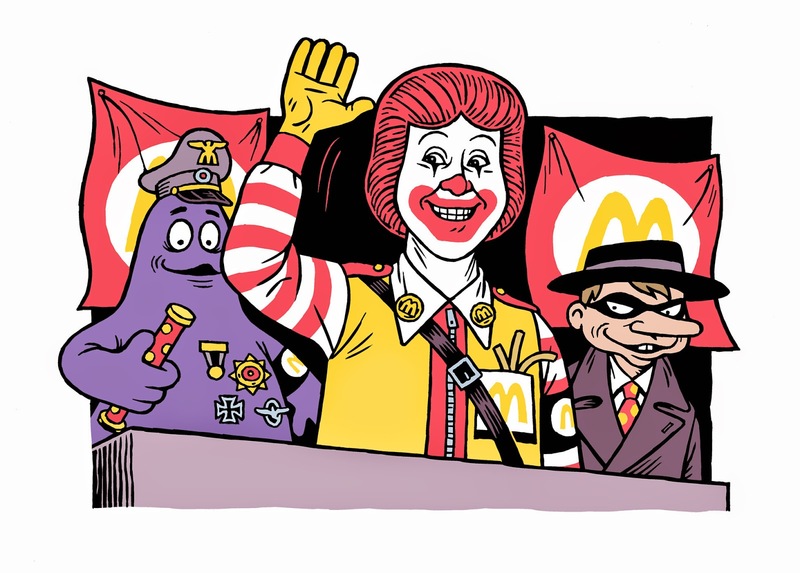 In support of US fast food workers and their right to a fair wage AND to protest, here's some McDonalds illos. "Heil Ronald," illo for NYPress, July1996, art direction by Michael Gentile. Cover for SCREW #1425, June 1996, art direction by Kevin Hein. 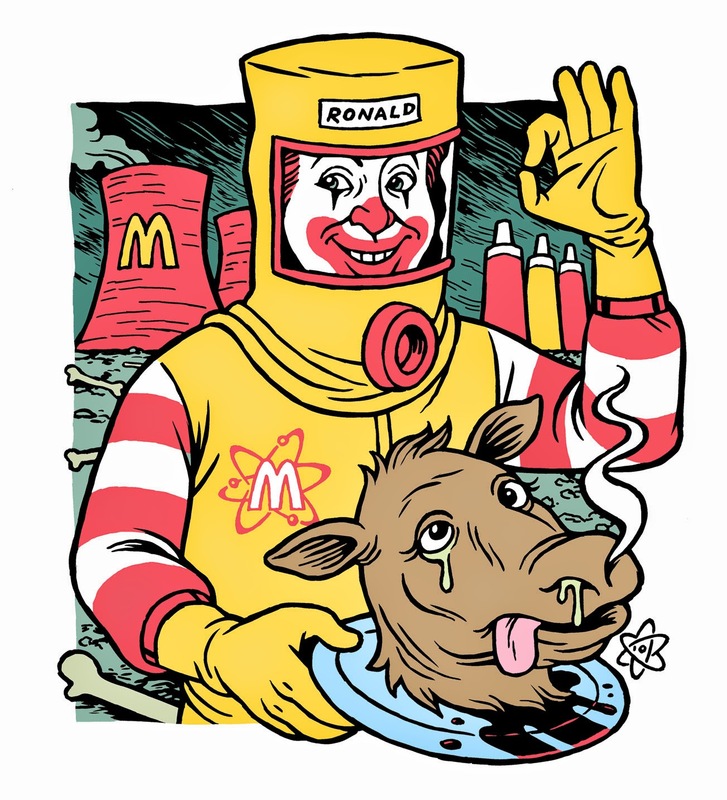 "McRib Has No Bones," illo for The ONION, Feb 2009, art direction by Josh Modell. 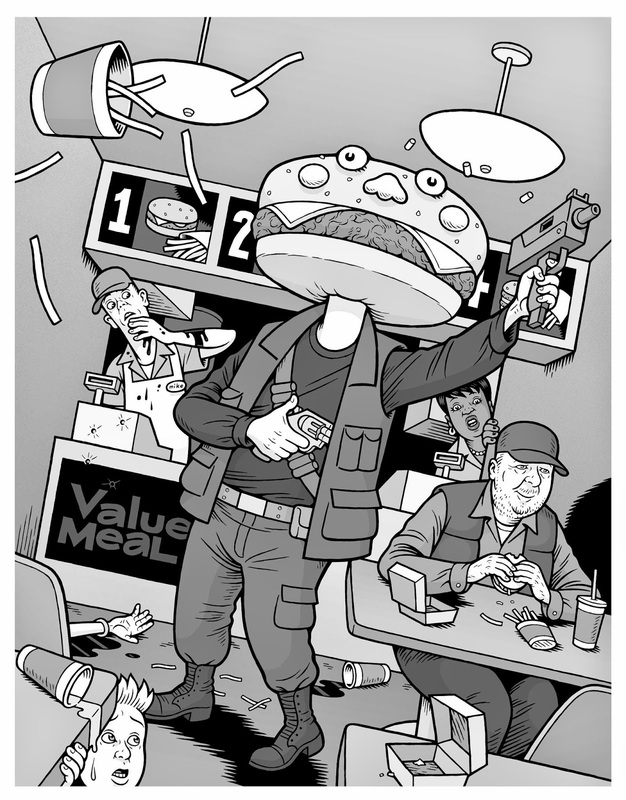 "Fast Food Wig Out" illo for BLACK EYE #2, Nov 2012, edited by Ryan Standfest. 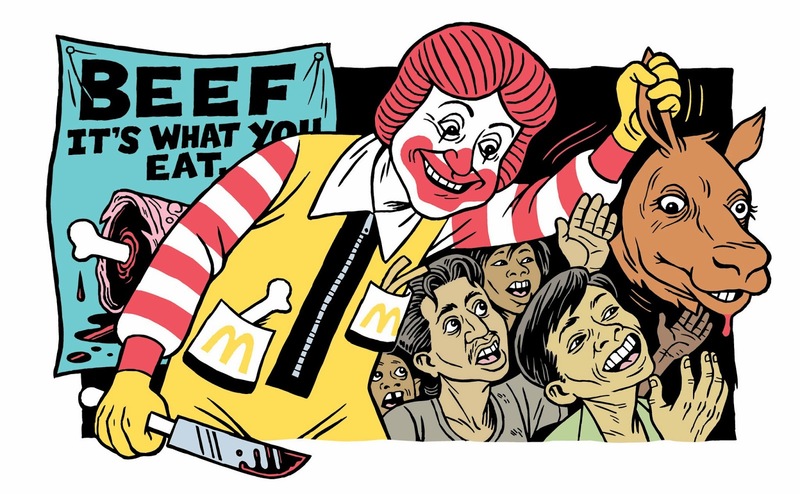 "Third World Ronald," illo for NYPress, November 1996, art direction by Michael Gentile. 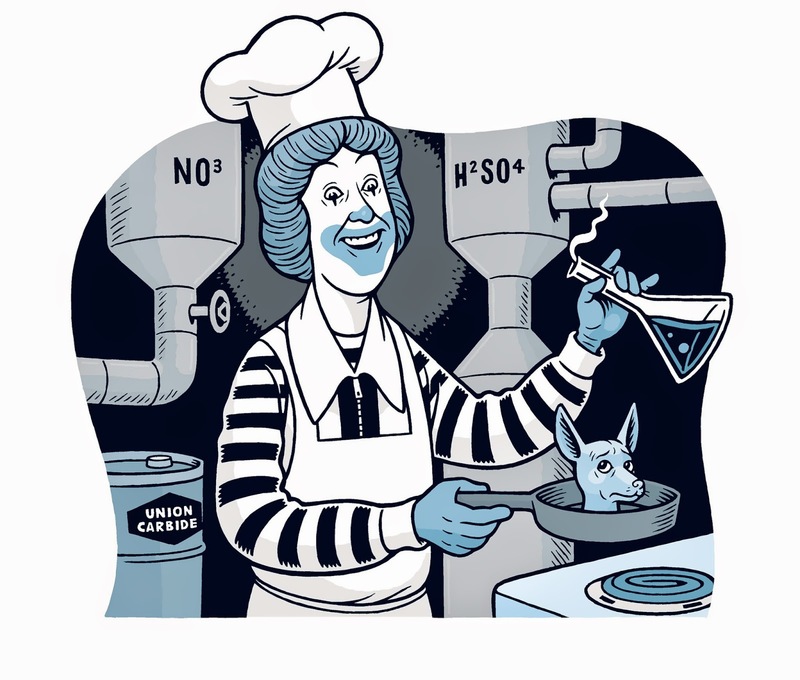 "Radioactive Ronald," illo for NYPress, December 1996, art direction by Michael Gentile.